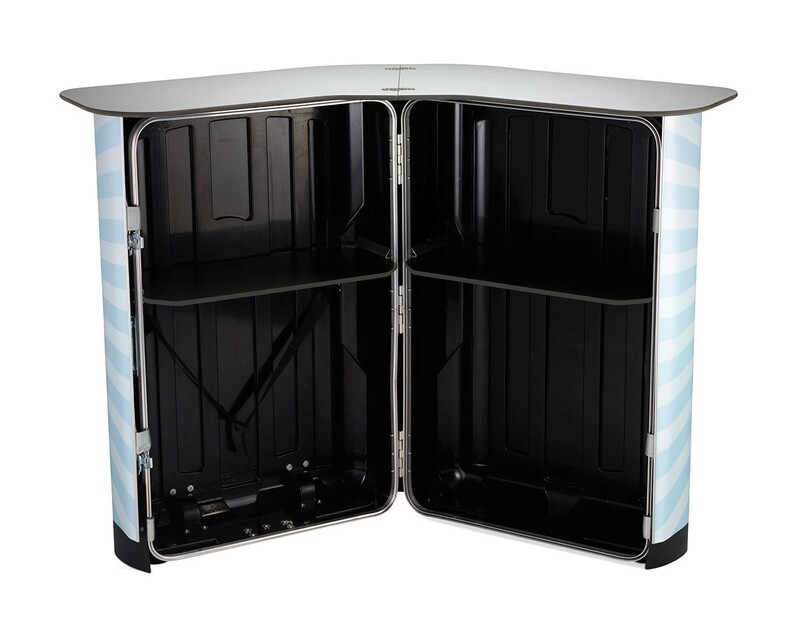 The Expolinc Case & Counter is a heavy duty shipping case that converts into a full size counter with internal shelves so you can transport your entire exhibit set up in single case. 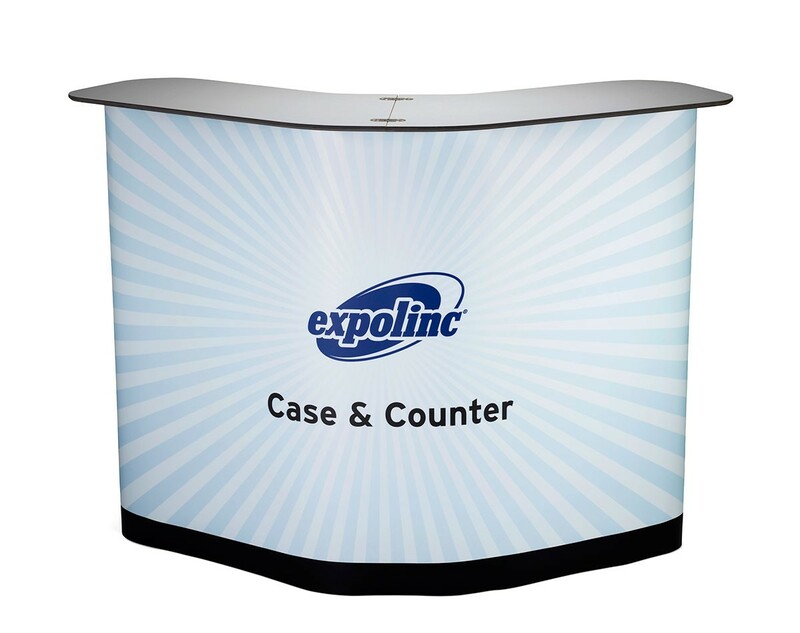 The Expolinc Case & Counter is a heavy duty shipping case that's large enough to hold your entire exhibit setup, and also converts into a large and stable counter with internal shelves. 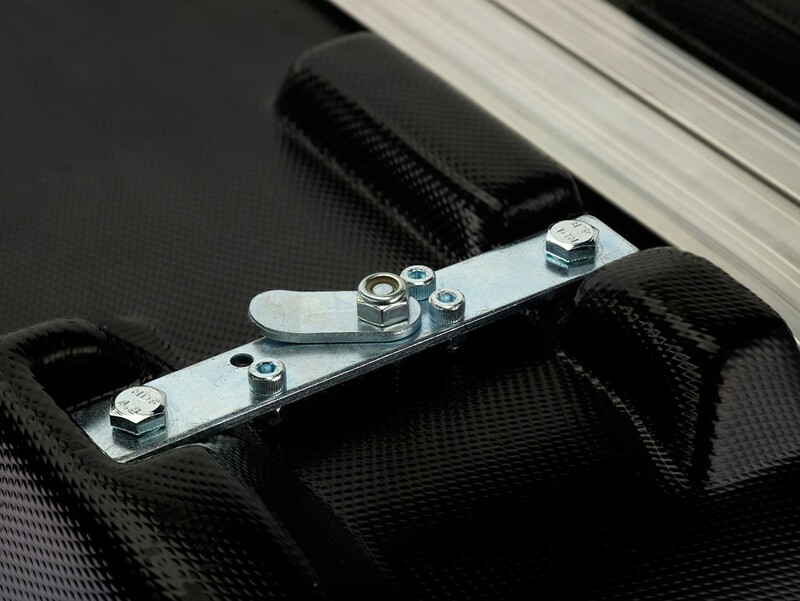 The suitcase style of the shipping case makes loading and unloading easier, as it minimized lifting when packing the case. 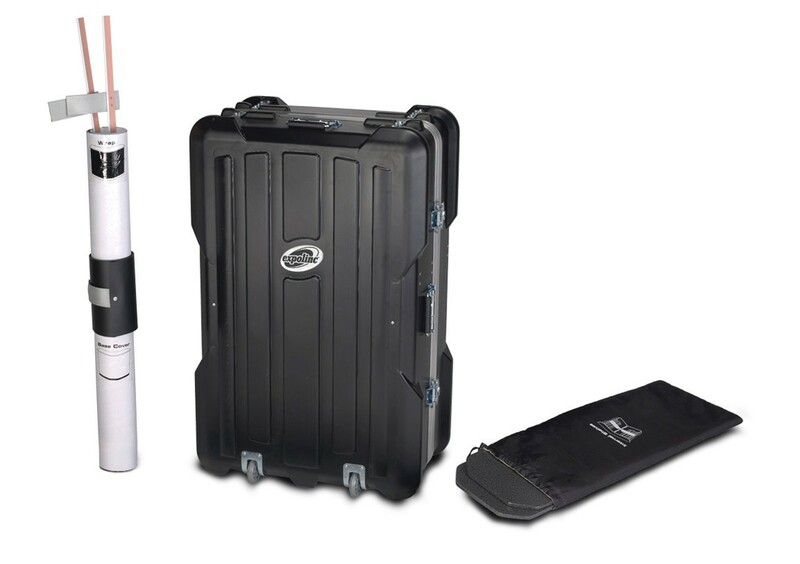 Made from materials that are carefully selected for durability and user friendliness, the Case & Counter has integrated wheels making it easy to maneuver when fully loaded. The Expolinc Case & Counter converts into a large format counter in only a minute. 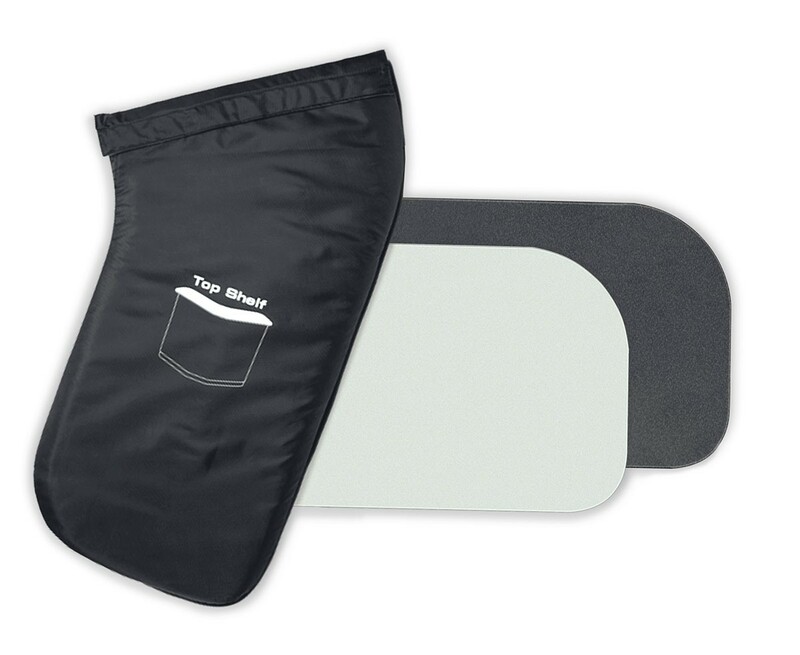 Simply open the case, attach the two piece hinged countertop and internal shelves, then wrap the graphic and base cover around the case and secure with the velcro tabs. 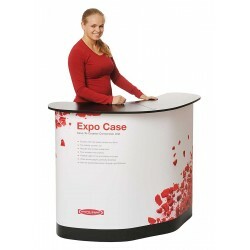 The large counter offer plenty of space to gather and present literature or even products, while the internal shelves offer space to hold extra brochures, drinks, demo products or anything you want kept out of public view. 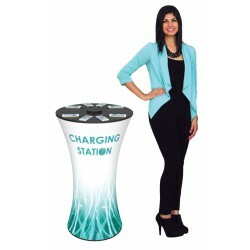 It also makes for larger graphic wrap so the front of the counter becomes an extension of your display that's a great way to extend your message or branding. 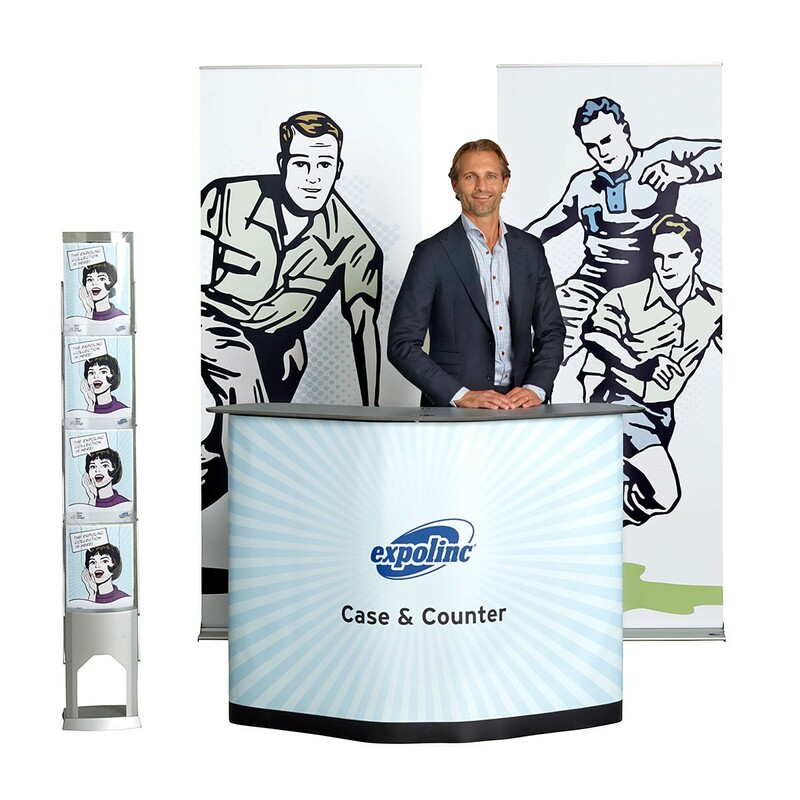 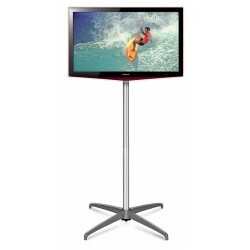 The Expolinc Case & Counter is an excellent shipping case for pop up displays like the Coyote, Hopup or Neo, or multiple banner stands with a width of 36" or less. 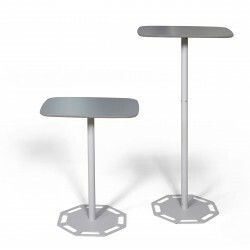 The podium top comes in either a dark gray finish, called Stone, or a light gray finish, called Silver. 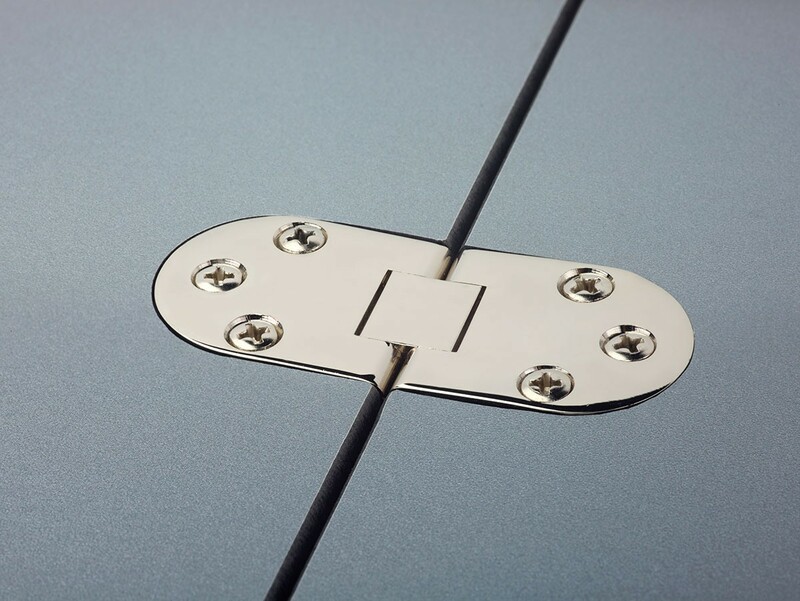 See the product photos for images of these two color choices. 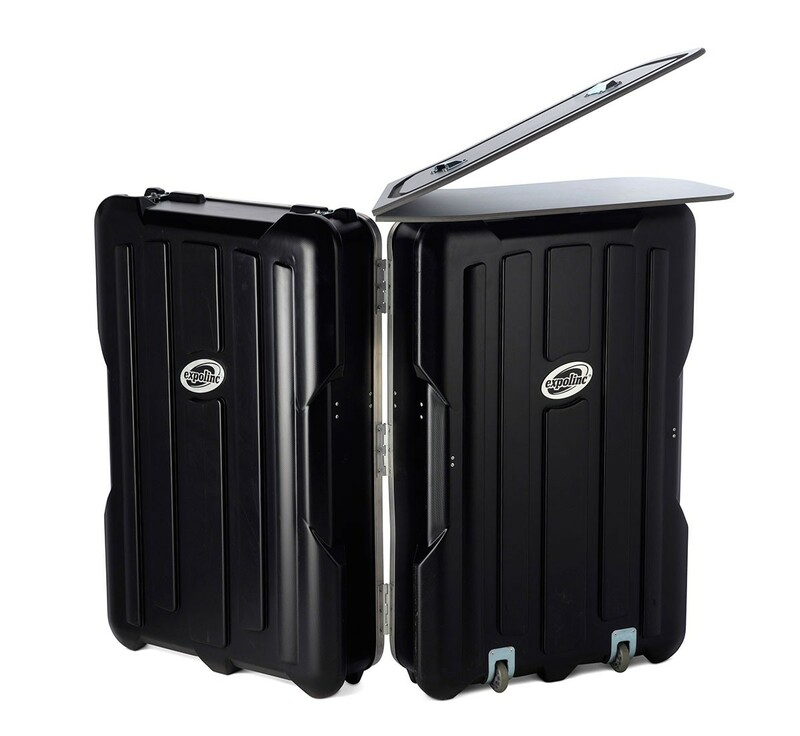 Expolinc offers a lifetime warranty on the Expolinc Case & Counter against manufacturing defects in materials and workmanship. 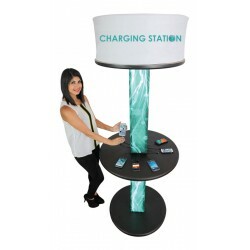 Interior Dimensions: 38" x 23" x 15"
Exterior Dimensions: 40" x 26" x 17"
Graphic Dimensions: 71.625" x 36.22"